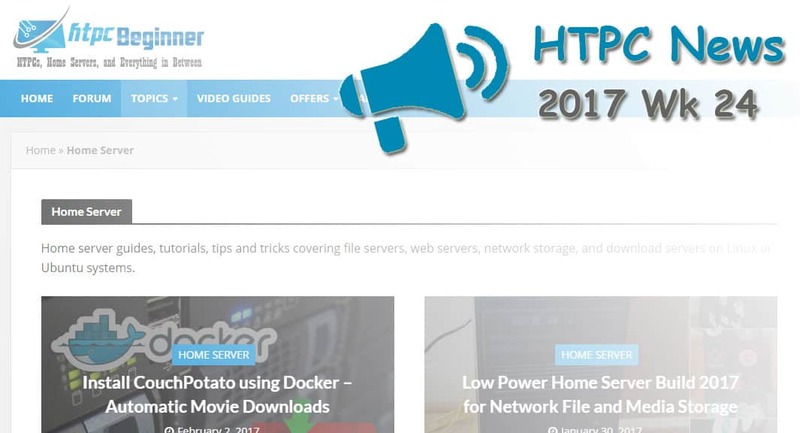 Welcome to the htpcBeginner HTPC News Roundup 2017 Wk 24. This week saw major updates to the Nvidia Shield TV and WeTek streaming media players, local file playback through the Plex Android app, Emby released for Samsung Smart TVs, and more. Read on for the latest in HTPC news and updates! WeTek makes some of the best Android streaming media players in its WeTek Play 2 and WeTek Hub. This week, WeTek released its WeOS 3.1 update for both the WeTek Hub and WeTek Play 2. Among the new features, WeOS brings an update to Android 6.0 Marshmallow. There's now Netflix 4K support via the Android TV version of the Netflix app. Furthermore, WeOS 3.1 yields an update do Kodi 17.3 which patches a major security vulnerability. With pirates continuing to share content illegally and moreover begin holding movies like Pirates of the Caribbean for ransom, content providers are ramping up their tactics as well. Known as ACE, the Alliance for Creatiity and Entertainment, its mission is to further efforts to squash piracy. Still, many excellent torrent sites prevail. Although it's usually torrent sites targeted, it's best to use a VPN if you frequently torrent or download via Usenet (note: we at htpcBeginner do not condone the sharing of copyrighted material. However, we encourage readers to use a VPN maintaining privacy with their Internet use).